Presenting to you a beautifully crafted Ganesh Murti. Bring home or gift this precious embodiment of devotion and excellent art work which is indeed special. Keep it in your pooja room or gift it to your friends and family, the blessings will always touch the soul of the beholder. 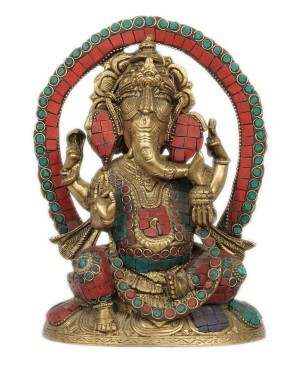 This Marble murti is diligently handcrafted by skilled artisans from the house of various traditional techniques.